A man wearing a cap with the word “Cali” robbed a Coast Hills Credit Union in Santa Maria on Wednesday and has since managed to evade capture. Around 5 p.m., the robber entered the Coast Hills branch on Bradley Road and showed a note to the teller that demanded money and said he was carrying a weapon, according to the Santa Maria Police Department. 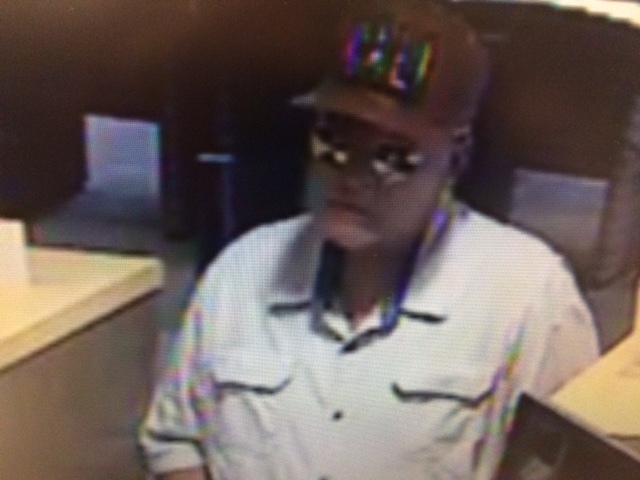 The teller handed the robber an undisclosed amount of cash, the he fled. Police describe the robber as a white male in his 50s or 60s who was wearing a brown “Cali” cap, sunglasses, a light colored shirt with chest pockets and blue jeans. Investigators request that anyone who has information about the robbery contact the Santa Maria Police Department. Informants who wish to remain anonymous may submit a tip on the police department website. Wednesday’s robbery was the second heist from a Northern Santa Barbara County Coast Hills in a span of about 15 days. Last month, a Nipomo man robbed an Orcutt Coast Hills at knifepoint and was then shot and killed in a confrontation with a Santa Barbara sheriff’s deputy. What happened to the remove cap and glasses mandate. The guard should have interceded immediately. That said, somebody’s grandchild may be getting that pony for her birthday after all. Maybe I am wrong but I think that the two robberies were at the same bank. The Orcutt Coast Hills Credit Union is on Bradley Road and has a “Santa Maria” address.